What a surprise. The first fragrance from John Kerosene, already known from his You Tube reviews, brought a considerable amount of novelty and freshness to the always staler and massified fragrance market. The main concept behind R'Oud Elements is to compose "an oud for people who don't like oud" (his words). What comes out is an incredibly well blended and delightfully woody ambery concoction juxtaposed to a sparkling bitter orange note and lavender. Vanilla plays a relevant role as well while the oud is remarkably present but it's neither dominating nor overwhelming. 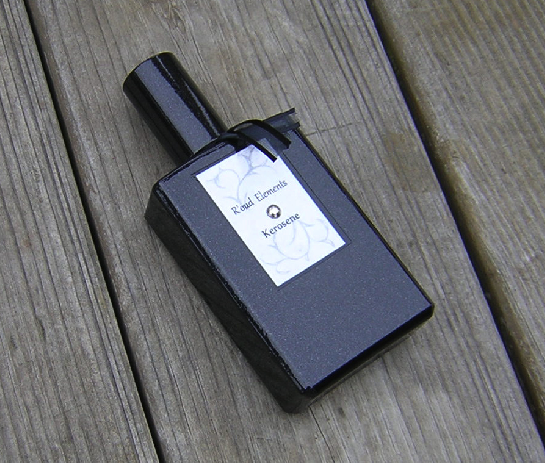 Qverall, R'Oud Elements has a dry quality with just the right amount of sweetness. Modern and with a chemical twist (expecially during the opening) yet incredibly catchy and original. R'Oud Elements would make one HELL of a designer fragrance. Honestly, put on the bottle a designer's logo (Therry Mugler, Jean Paul Gaultier or whatever you want) and it will turn into a blockbuster in no time...Good job, Kerosene. My only complain, if I can call it so, is that from a house named Kerosene and a fragrance labelled as "Rude Elements", I probably expected something more uncomprimising (but it's just me, don't worry). That said, this is till pretty darn good. Maximum support.